You know the health care field changes rapidly. That’s why it’s so important that you have current, evidence-based education you need to enhance your knowledge and improve your practice skills so that you may provide the best possible care to your patients. From live, AANP-developed activities to online video presentations and articles, there are hundreds of continuing education (CE) opportunities available to help you stay on top of your field and shape your practice. Developed by and for NPs, AANP’s comprehensive CE program provides exemplary educational experiences for NPs and NP students. Members get more! With your membership comes access to more than 170 completely free CE activities, universally accepted for NP CE requirements by all state boards of nursing, all NP regulatory bodies and the American Dietetic Association. Keeping track of your CE is easier than ever. Completed CE records, including those from AANP national and specialty conferences, are conveniently maintained in the portfolio section of the CE Center. AANP members can also upload non-AANP certificates into their portfolio, keeping all their CE records in one, easy-to-access location. CE that fits your interests and your schedule. CE Center activities come in a variety of formats and topics, including monthly CE activities from the Journal of the American Association of Nurse Practitioners (JAANP) and the Journal for Nurse Practitioners (JNP). All CE activities can be found by category, program delivery type, key words and title search. AANP conferences provide essential opportunities for professional growth and practice. The place to be for live CE. The AANP national conference offers hundreds of educational sessions and hands-on workshops each year, many of which come with pharmacology credit. Showcase your work and learn from other industry professionals. AANP offers both Rapid Fire and poster presentations and awards CE credit for unopposed poster sessions. Plus, you’ll have the chance to connect with NPs from across the country for an unparalleled learning experience. AANP annual highlights. See what your association has accomplished throughout the previous year at General Sessions, learn about the regional and state-level policy issues impacting your practice at Regional Meetings and get an in-depth look at the topics that interest you most in Seminars—all with CE credit! From respected scholarly journals to a daily newsletter, AANP publications ensure you are up to date with new developments in health and health care. Find the latest peer-reviewed articles addressing clinical practice and management, health policy, research, education and more with the Journal of the American Association of Nurse Practitioners (JAANP). Stay current with clinical and policy concerns affecting your day-to-day practice with the Journal for Nurse Practitioners (JNP). Receive the latest health care news straight to your inbox every weekday with AANP SmartBrief. AANP makes it easy for you to find the CE you need. Become a member for totally free CE! 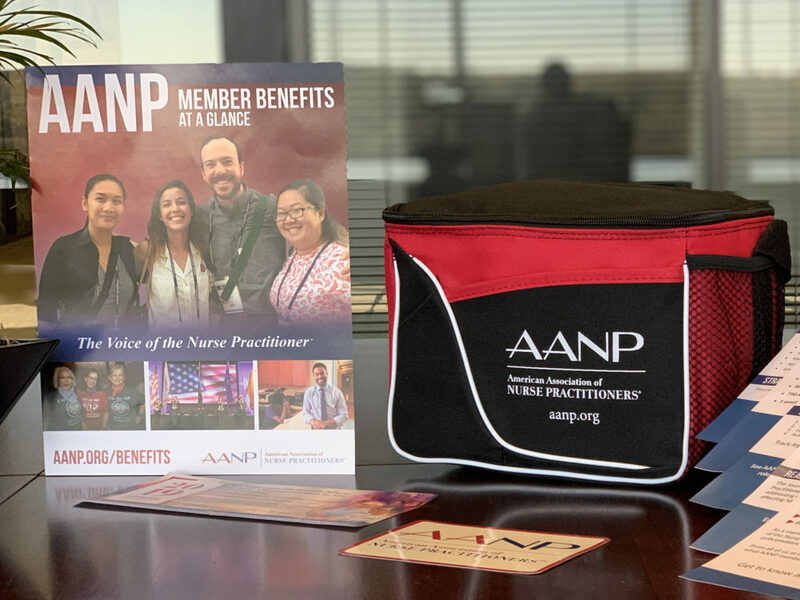 Join using the code AANPSuccess for tips on how to access free CE, plus gain an exclusive AANP lunch bag and a 5% discount on membership dues!